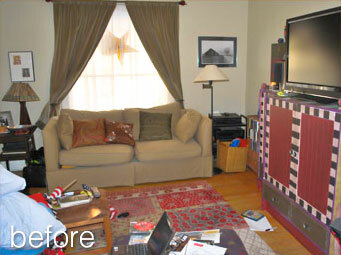 A small space filled with personal items was overwhelming the owner. We decluttered, rearranged, hung artwork and didn’t buy a thing! 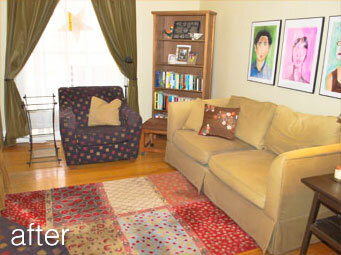 The homeowner has a cozy space that reflects her creative personality.